The comfort zone. We are constantly told to leave it. Outside its borders is where it all happens, they say. That’s where you perform at your best, that’s where you grow as a human being. But do you really need to do that – all the time? No, not if you ask us. We think you should stay in your comfort zone as long as you like. Relax, enjoy the moment – or just do nothing. With a Scandinavian sense of design, solid craftsmanship and unique functionality, we create armchairs for all those moments when you take that well-deserved step back. We make it harder than ever to leave your comfort zone. HOW COMFORTABLE DO YOU WANT TO BE? Your body and your style shouldn’t have to adapt – we will do that instead. For many of our armchairs, you can choose between different types of wood, different legs and various heights. Upholstery – in fabric, leather or sheepskin – is offered in more than five hundred variants. It’s your comfort zone, so you make the decisions. No matter which road you take through the Swedish province of Småland, miles and miles of dense forest will be your constant companion. But every now and then the landscape opens up, and what you will see is likely a furniture factory. In the old days, our part of the country demanded hard, laborious work. This would shape the people of Småland, who became sensible, honest and enduring – qualities that also became the framework of the furniture industry. Småland furniture did not say ”Here I am”, but rather ”I am here for you.” The well-known Swedish Furniture District of today still rests on that original approach. It’s a heritage we are very proud to be a part of. When we’ve finished our work, you’re the one who gets to relax. Every piece of furniture from Conform is designed to be the most comfortable spot in your home. The more work we put into it, the more you will enjoy it. The story began forty years ago. Then it was 1978, and we were making armchairs in Holsbybrunn, Småland. Now it’s 2018, and we are making armchairs in Holsbybrunn, Småland. At first glance there is no difference – but take a closer look, and you will find a remarkable development when it comes to materials, design and manufacturing processes. Sure, we could broaden our product portfolio quite easily – but we are perfectly happy with making armchairs and footstools. To us, specialization is valuable. It means the things you make are special. For every piece of furniture there is a context to fit into. It needs to find its place in time and space, in a timeless or contemporary home. We have a long-standing collaboration with several Scandinavian designers â&#x20AC;&#x201C; Jan, Niels, Jahn, Lenka, and Fredrik. Together, we create furniture that is surprising and pleasing, inviting and impressive. The final design touch is yours to make, by choosing and combining sheepskins, leathers, fabrics and surfaces. Perhaps your armchair should match the rest of your home perfectly â&#x20AC;&#x201C; or maybe you wish to have a piece of furniture that no one else has? Seeing and sitting are the first two words in the Conform dictionary. Each one of our armchairs should look so inviting that you just have to try it. And once you’ve sat down, you should never want to get back up again. Design, ergonomics and finish are closely linked – well, actually crucial for each other – when we develop new products. well as built-in technology to support your body in every position. Understanding how a user’s lower back changes and how a body’s center of gravity shifts is essential in our product development. We call it the sitting curve, and we’ve been following it for decades. It has pushed our furniture to the international front lines of comfort. When making an organically shaped armchair, with movable parts, you need the sensibility of an experienced craftsman. The upholstery must be stretched just right to avoid wrinkles and gaps, surfaces must meet each other with exact precision. Because of that, manufacturing at Conform will never be fully automated. It takes human hands and eyes to furbish, upholster and assemble – people who recognize good craftsmanship. Just like you will. A few words about… … leather. We work primarily with three different grades of leather: standard, semi-aniline, and aniline leather. Their qualities differ – just like the preferences, taste and needs of our users. Our standard leather is a corrected, cover-dyed and grained leather, where most of the natural irregularities are removed. It is very resistant to stains and dirt, and easy to keep clean. Semi-aniline leather is soft and dyed with a light, slightly coloured coating. Some natural irregularities and marks may be present. It breathes well and offers good comfort. are naturally curly, and can vary in terms of curl and shade. … colour samples. Keep in mind that two different pieces of leather will not and should not look identical. Our samples are therefore only an indication. The skins and leathers are prepared and dyed according to high standards of environmental and animal care. Uncomfortable testing for a comfortable life. Once an armchair is ready for manufacture, it has not only reached the design and technical perfection we strive for. It has also survived a stay in our torture chamber – sorry, our test lab. In addition to good old durability tests with mechanical pressure against back, seat and foot, we’ve also set up our own devices in order to attack the armchair from every angle. The armrests are exposed to a 60 kilo pressure, roughly 20.000 times. We then drop a bag of 120 kilos on the seat and test the folding mechanism in the backrest with a strong wire, pulling it backwards with a pressure of 40 kilos – about 100.000 times. Every now and then we also pick an unsuspecting chair of the current assembly line to ensure that its quality does not drop with time. A relaxing chair must be able to put up with some stress – actually, a lot of it – especially if it’s from Conform. Our close collaboration with external designers is crucial to our product development. Itâ&#x20AC;&#x2122;s when we turn their ideas and sketches into reality that we find new technical solutions, materials and combinations. The Scandinavian look is naturally dearest to our hearts. With clean lines, true craftsmanship and durable constructions, you get furniture that ages with dignity. However, at Conform we hold one shape above all other: the shape of your body. Regardless of style and function, every armchair needs to conform to that. SmĂĽland. As bleak and dark as the winters are, as bright and magical the summers can be. Perhaps that contrast is what makes our furniture so lively and durable. believes that “design should satisfy the desires of the user, the company and the society, and have a personality strong enough to last for decades of use.” That notion is especially true for Timeout, the perfect relaxing chair that always returns to its original position when you leave it. The personality is created through freedom of choice. The comfort through intelligent features. daring contrast? Nothing is ever wrong. Timeout can be turned into anything from a faithful everyday servant to a colourful solitaire that makes your living room a show room. Also keep in mind that a fine leather surface will age gracefully. It is made to be used, and it gets more beautiful with each passing year. Freedom of choice. Choose between more than 500 fabrics, sheepskins and leathers. Choose between different types of wood. Choose between different legs. 1. SHEEPSKIN OFF-WHITE Base: walnut Foot: swivel molded aluminum 2. FABRIC EVITA BLUEBERRY Base: oak Foot: swivel molded aluminum 3. FABRIC PERON BRONZE Base: fabric Peron Bronze Foot: black coated molded aluminum 1. 4. LEATHER BOLZANO TEAL Base: walnut Foot: swivel walnut/molded aluminum 5. LEATHER JESOLO TESTA MORO Base: oak Foot: swivel oak/molded aluminum 6. LEATHER FANTASY BLACK Base: black stain oak Foot: swivel black coated aluminum In the image to the left, the armchair appears with the leather Western Cognac. walnut (lacquered). The swivel chair with molded aluminum, white coated molded aluminum, black coated molded aluminum, wood/molded aluminum and disc foot is possible to get in an extra high seat version (+3,5 cm). Footstool in the same options with fixed X-foot or disc. 4-legs chair in oak (lacquered), oak (black stain lacquered), walnut (lacquered) or brushed zinccoated metal. 4-legs footstool in the same options. Function See page 20-21. 4. LEATHER FANTASY BLACK Base: oak Foot: disc foot 5. FABRIC EVITA NATURE Base: Evita Nature Foot: swivel molded aluminum 6. FABRIC SHEFORD DARK BLUE Base: black stain oak Foot: swivel black stain oak/molded aluminum In the image to the left, the armchair appears with the leather Fantasy Black. wood options are in oak (lacquered), oak (black stain lacquered) or walnut (lacquered). All options are possible to get in an extra high seat version (+3,5 cm). Function See page 20-21 for adjustable backrest function on right side of the chair. Adjustable leg rest function with grip on the left side of the chair. With a simple grip you can alter the angel both for the back and leg rest. 5. SHEEPSKIN ESPRESSO Foot: swivel aluminum In the image to the left, the armchair appears with the leather Fantasy Snow White. MASTER Made for your needs by Jahn Aamodt Upholstery Sheepskin, leather or fabric. Foot Swivel chair with return memory in molded aluminum, white coated molded aluminum, black coated molded aluminum, wood/molded aluminum or disc foot (full upholstered). The wood options are in oak (lacquered), oak (black stain lacquered) or walnut (lacquered). All options are possible to get in an extra high seat version (+3,5 cm). Function See page 20-21 for adjustable backrest function on right side of the chair. Adjustable leg rest function with grip on the left side of the chair. With a simple grip you can alter the angel both for the back and leg rest. 4. FABRIC MELANGE ANTRACIT Base: walnut Foot: swivel walnut/aluminum 5. LEATHER ZERO BLACK Base: walnut Foot: swivel aluminum 6. LEATHER ZERO BLACK Base: walnut Foot: disc foot FOOTSTOOL Leather Zero Black In the image to the left, the armchair appears with the fabric Evita Salmon. AIR Sophisticated elegance by Jahn Aamodt Upholstery Sheepskin, leather or fabric. Back Backrest available in two heights, standard and high version (+5 cm). Base Surface veneer oak (lacquered), oak (black stain lacquered), walnut (lacquered) or full upholstered. Foot Swivel chair with return memory in molded aluminum, white coated molded aluminum, black coated molded aluminum, wood/molded aluminum, wood or disc foot (full upholstered). The wood options are in oak (lacquered), oak (black stain lacquered) or walnut (lacquered). The swivel chair with molded aluminum, white coated molded aluminum, black coated molded aluminum, wood/molded aluminum and disc foot is possible to get in an extra high seat version (+3,5 cm). Footstool in the same options with fixed X-foot or disc. Function Swivel chair with syncro backup gives you an ergonomically correct rest in all positions. The function consists of three cooperating parts. The lower part of the back, the upper part of the back and the head rest. In the image to the left, the armchair appears with the leather Fantasy Pure White. in an extra high seat version (+3,5 cm). Function Syncro backup which gives you an ergonomically correct rest in all positions. The function consists of three cooperating parts. The lower part of the back, the upper part of the back and the headrest. Adjustable back function with grip on right side of the chair. Adjustable leg rest function with grip on the left side of the chair. With a simple grip you can alter the angel both for the back and leg rest. FOOTSTOOL Leather Bolzano Teal Leather Bolzano Grey Fabric Peron Bronze In the image to the left, the armchair appears with the fabric Peron Bronze. walnut (lacquered). The chair is possible to get in an extra high seat version (+3,5 cm). Footstool in the same options with fixed X-foot or disc. Function Swivel chair with Syncro Backup gives you an ergonomically correct rest in all positions, thanks to three cooperating parts: the lower part of the back, the upper part of the back, and the head rest. 4. LEATHER FANTASY BLACK Base: walnut Foot: swivel molded aluminum 5. FABRIC EVITA BLUEBERRY Base: white ash Foot: swivel white coated molded aluminum 6. SHEEPSKIN SAHARA Base: oak Foot: swivel oak/molded aluminum In the image to the left, the armchair appears with the Fabric Peron Olive. aluminum, white coated molded aluminum, black coated molded aluminum, wood/molded aluminum and disc foot is possible to get in an extra high seat version (+3,5 cm). Footstool in the same options with fixed X-foot or disc. 4-legs chair in oak (lacquered), oak (black stain lacquered), walnut (lacquered) or brushed zinccoated metal. 4-legs footstool in the same options. Function See page 20-21. 1. FABRIC EVITA PEACH Foot: swivel molded aluminum 2. FABRIC TRITON SOFT BLUE Foot: swivel molded aluminum 3. LEATHER BOLZANO TEAL Foot: swivel walnut/molded aluminum 4. LEATHER FANTASY BLACK Foot: disc foot 1. 5. FABRIC PERON TEAL Foot: swivel walnut/molded aluminum 6. FABRIC EVITA PEARL Foot: swivel molded aluminum FOOTSTOOL Fabric Triton Soft Blue Leather Fantasy Black Fabric Evita Pearl In the image to the left, the armchair appears with the fabric Evita Pearl. in an extra high seat version (+3,5 cm). Footstool in the same options with X-foot or disc. Function Swivel chair with syncro backup gives you an ergonomically correct rest in all positions. The function consists of three cooperating parts. The lower part of the back, the upper part of the back and the head rest. 5. FABRIC MATISS PEACH Legs: fixed black stain oak In the image to the left, the armchair appears with the leather Jesolo Cognac. in oak (lacquered), oak (black stain lacquered) or walnut (lacquered). Footstool with fixed X-foot, fixed disc, fixed 4-leg or rocking. Function Syncro backup which gives you an ergonomically correct rest in all positions. The function consists of three cooperating parts. The lower part of the back, the upper part of the back and the headrest. FOOTSTOOL Fabric Sheford Light Grey Leather Fantasy Black Sheepskin Graphite In the image to the left, the armchair appears with the Sheepskin Graphite. the same material. Function Gliding chair with adjustable headrest. 5. FABRIC MARIAM SAND Foot: swivel molded aluminum 6. LEATHER FANTASY SNOW WHITE Foot: swivel molded aluminum FOOTSTOOL Leather Jesolo Cognac Leather Nappa Cement Leather Fantasy Black In the image to the left, the armchair appears with the leather Nappa Cement. BRAVO Please your eyes, relax your body by Jan Ekstrรถm Upholstery Leather or fabric. Foot Molded aluminum. Function Swivel chair with return memory. 5. LEATHER SAUVAGE OLIVE Foot: molded aluminum 6. LEATHER SAUVAGE NERO Foot: black coated aluminum 7. LEATHER SAUVAGE TERRA Foot: molded aluminum 8. LEATHER FANTASY BLACK Foot: molded aluminum 9. LEATHER MENO WHITE Foot: molded aluminum In the image to the left, the armchair appears with the leather Nubuck Pink. white coated molded aluminum. Function swivel chair with return memory. Legs: oiled oak 6. SHEEPSKIN BLACK Legs: black stain oak FOOTSTOOL Sheepskin Black Sheepskin Off-White In the image to the left, the armchair appears with the sheepskin Raspberry and Viola. 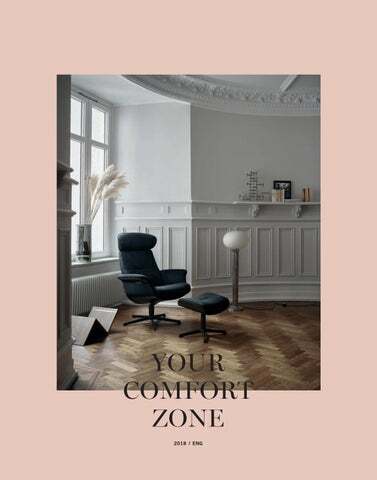 GAZELL Scandinavian classic by Jan Ekstrรถm Upholstery Sheep skin Legs Chair with fixed, flexed or tilt/swivel legs in oak (oiled or black stain). Footstool with 4-legs in the same material. Function Tilt on the swivel chair. Base: oak Foot: swivel foot molded aluminum FOOTSTOOL Leather Fantasy Black In the image to the left, the armchair appears with the Leather Fantasy Snow White. P.A.L. Passion and luxury by Fredrik Mattson Upholstery Leather or fabric. Base 3D Surface veneer oak (lacquered), oak (black stain lacquered), walnut (lacquered). Foot Swivel chair with return memory in molded aluminum. Footstool full upholstered with X-foot. Function Multifunction with swivel and return memory. Adjustable headrest. 5. FABRIC FACET LIGHT GREY Foot: molded aluminum 6. FABRIC FACET DARK GREY Foot: molded aluminum FOOTSTOOL Leather Fantasy Black Fabric Facet Light Grey In the image to the left, the armchair appears with the fabric Facet Light Grey. JOLLY Designed delight by Niels Gammelgaard Upholstery Leather or fabric. Foot Molded aluminum. Function Multifunction with swivel and return memory. Adjustable headrest. Arms: molded aluminum Foot: molded aluminum FOOTSTOOL Leather Fantasy Black In the image to the left, the armchair appears with the leather Fantasy Cement. LAID BACK For your carefree moments by Niels Gammelgaard Upholstery Leather or fabric. Arms Surface veneer oak (lacquered), oak (black stain lacquered) or walnut (lacquered). Molded aluminium. Foot Molded aluminum or wood/molded aluminum. Function Multifunction with swivel and return memory. Adjustable headrest. Foot: black metal FOOTSTOOL Leather Fantasy Black In the image to the left, the armchair appears with the fabric Evita Raspberry. JOY Uncomplicated artwork by Niels Gammelgaard Upholstery Leather or fabric. Foot Brushed zinccoated metal, chrome metal or black metal. Function Swivel chair with tilt and return memory. 5. SHEEPSKIN GRAPHITE Legs/base: fixed oiled oak 6. SHEEPSKIN ESPRESSO Legs/base: flexed oiled oak FOOTSTOOL Leather Fantasy Brown Sheepskin Graphite In the image to the left, the armchair appears with the fabric Facet Petrol. 4. LIFE Designed for life by Niels Gammelgaard Upholstery Sheepskin, leather or fabric. Legs/base Swivel in chrome metal, black metal or wood/aluminum. 4-legs chair in oak (oiled or black stain). Flex chair in oak (oiled or black stain). Arms Oak (oiled or black stain). Function Swivel chair with return memory, with or without tilt function. 5. FABRIC EVITA BABY BLUE Legs: black oak 6. FABRIC DAISY GREY Legs: black oak 7. GAGA TABLE White compact laminate Ã&#x2DC; 70 cm with black edge. In the image to the left, the armchairs appears with the fabric Daisy Blue and Daisy Dark Blue. GAGA Designed to make you go gaga by Niels Gammelgaard Upholstery Leather or fabric. Legs Oak (lacquered or black stain) or aluminum. Function Swivel chair. 5. FABRIC MARIAM BROWN Legs: oak In the image to the left, the armchair appears with the leather Nubuck Taupe. MIA Less is more by Niels Gammelgaard Upholstery Leather or fabric. Legs 4-Legs chair in oak (oiled or black stain). 1. LEATHER FANTASY SNOW WHITE Foot: molded aluminum 2. FABRIC FACET ORANGE Foot: black coated molded aluminum 3. FABRIC FACET AUBERGINE Foot: molded aluminum 4. FABRIC FACET LIGHT GREY Foot: molded aluminum 1. 5. FABRIC FACET ANTRACIT Foot: molded aluminum FOOTSTOOL Fabric Facet Antracit In the image to the left, the armchair appears with the fabric Evita Orange. TURTLE A shield from everyday stress by Lenka Teilmann Upholstery Leather or fabric. Foot Molded aluminum or black coated molded aluminum. Function Tilt with swivel and return memory. Legs: chrome 5. LEATHER FANTASY BLACK Legs: chrome In the image to the left, the armchair appears with the leather Jesolo Cognac. with cross stitching in contrast color or matching color of thread to the leather. In fabric it is only available with normal matching stitching. Foot: molded aluminum 5. LEATHER FANTASY RED Foot: molded aluminum 6. LEATHER FANTASY RED Foot: molded aluminum In the image to the left, the armchair appears with the leather Fantasy Black. ORION One more star in our collection by Lenka Teilmann Upholstery Leather or fabric. Legs Molded aluminum. EXPAND YOUR COMFORT ZONE. All right, we confess: We do not make armchairs exclusively. Inbetween our armchair development projects, we had a go at designing some side boards – and the results where so good that we simply couldn’t help producing them. Of course, they are built on the same high standards as the rest of our range – and designed to expand your comfort zone. Surface: white compact laminate with black edge. white ash or walnut. Leg: molded aluminum. Conform disclaims any typographical errors, errors in information and errors in specifications on any items appearing in this catalogue. All images in this material should be regarded as illustrations. Conform can not guarantee that images accurately reflect the appearance and color of materials, leathers and textiles. When product samples are required, please contact Conform for information on the nearest dealer. Some of the props and furniture in the catalogue you find at Conform’s dealers and some of them are private. For more information about the wallpaper and paint in the environmental images please contact Conform. Copyright Conform® 2018. Design and production: NY Collective. Photo: Patrik Svedberg, Patric Ivan (page 3). Stylists: Marie Fernström, Johanna Pilfalk. Print: TMG Tabergs. Quality in every detail. Grace in every sense. Comfort for every body.